Michael E. Bryant was born and raised in Dayton, Ohio. He earned a Bachelor of Arts in History from Miami University in Oxford, Ohio. Eventually, he moved to Toledo, Ohio to pursue a Law Degree at the University of Toledo, graduating three years later. During Law School, Michael E. Bryant was active in the Moot Court Association and worked for the Ohio 6th Circuit Court of Appeals. In November of 2008, he was sworn in by the Supreme Court of Ohio as a member of the Ohio Bar and was admitted to practice in the United States Federal Court in May 2009. 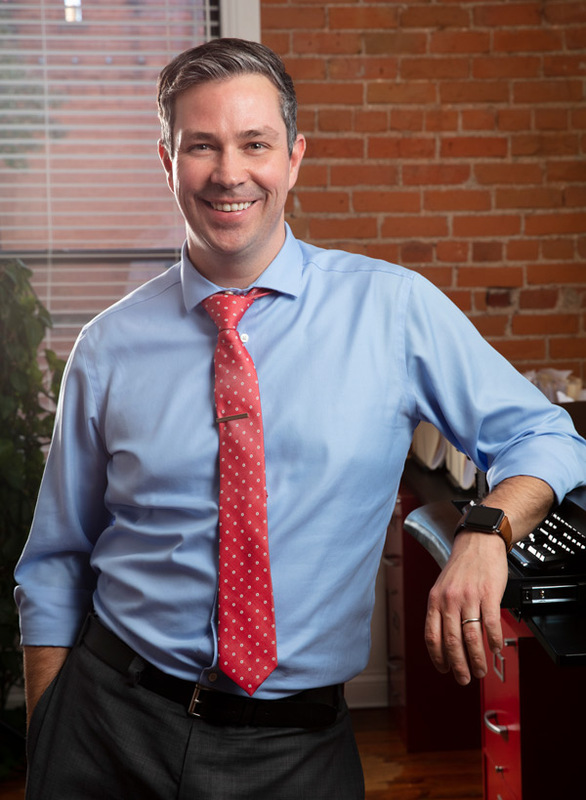 Michael E. Bryant is active in the Toledo Bar Association as a Member of the Young Lawyers Committee, Bankruptcy Committee, and the Bar Admissions Committee. Michael E. Bryant has been appointed as counsel by judges in Lucas County Common Pleas Court for both original criminal cases as well as appeals and in the Toledo Municipal Court and Lucas County Juvenile Court. Michael E. Bryant is a board member of the Pat Miller Foundation for the Eleanor M. Kahle Senior Center in West Toledo. A national member of the Order of Barristers, he has received public service recognition from the Equal Justice Works/Pro Bono Legal Corps/AmeriCorps and Supreme Court of Louisiana & Louisiana State Bar Association. Taking a hands-on approach with his clients sets Michael E. Bryant apart from other divorce and family law attorneys. Enthusiastic about the law, Michael E. Bryant enjoys solving problems and looks for creative ways to best represent clients and won’t shy away from a difficult case. He understands that hiring an attorney is always done out of necessity, and compassion is a must in this business. Michael E. Bryant tries to be the type of attorney that he would want to hire for himself. He makes every effort to return phone calls within a reasonable amount of time. Michael E. Bryant is willing to explain in great detail the law and how it relates to your case. He is honest with clients 100% of the time. Michael E. Bryant attempts to be reasonable with everyone that he comes in contact with, whether they are clients, opposing parties or counsel, or court personnel. However, he will take every step to make sure that his clients get the representation they deserve and all the rights and defenses they are entitled to.